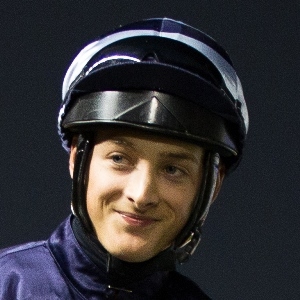 Harry Bentley is one of the brightest emerging stars among the ranks of Britain’s jockeys. Brought up in West Sussex, he was initially apprentice to trainer Gary Moore for whom he rode his first winner in January 2010. He was soon catching the eye further afield and in 2013 he became second jockey to His Highness Sheikh Fahad al Thani of Qatar and retained rider to trainer Olly Stevens. He has ridden with some success in Dubai over recent winters but in 2013-14 made a big splash in Qatar, notching his biggest ever victory aboard Dubday in the Qatar Derby (on December 26th 2013), riding a six-timer at Doha three weeks later, and eventually becoming champion jockey for the season. He finished in the top three of a QIPCO British Champions Series race for the first time when guiding Lightning Thunder into second spot in the QIPCO 1000 Guineas at Newmarket on May 4th 2014. He was second in another Series race, on board Ahzeemah in the Artemis Goodwood Cup.